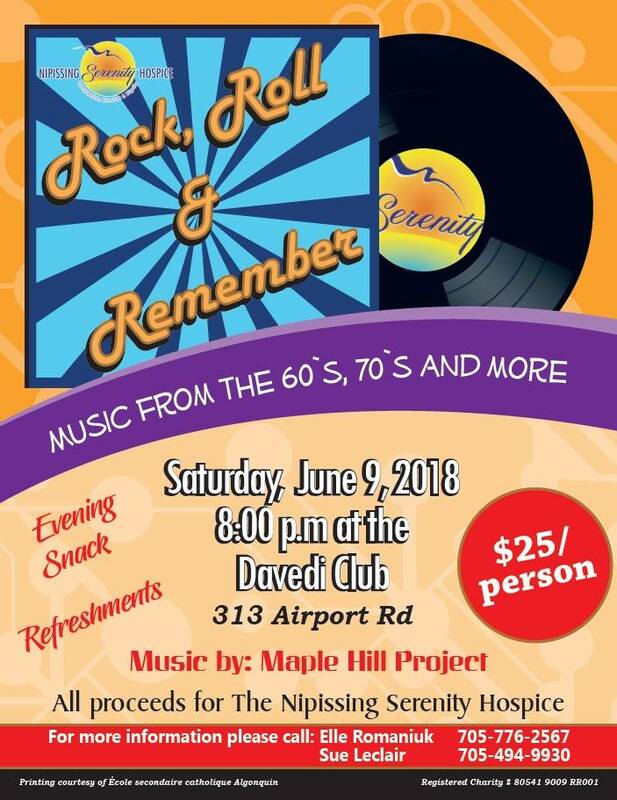 Rock, Roll and Remember Dance; Saturday, June 9, 2018 @ the Davedi Club. Tickets are $25 each and available at the Davedi Club or by calling 705-494-9930 or 705-776-2567. Live band, LOTS of door and spot prizes and light lunch and refreshments. Get out your dancing shoes and join us.